Someone asked on a recent post at Japanesepod101.com what なつこ先生’s name was in 漢字. I said that it was 夏子. I’m pretty sure it’s 夏子, in all of the early PDFs, she is listed as 夏子. Almost all Japanese people have 漢字 names, and all family names are 漢字. The last time I went to Japan, I was quite fluent with my 漢字 from my Chinese study, but I still found common Japanese names very interesting. Whenever I’d go into any shop, I’d make a point of reading the various workers’ namecards. I found the names fascinating. To someone used to dry, uninteresting Chinese names, Japanese names are a breath of fresh air. They sound like they were made up by hippie parents. Take 夏子 for example (the name, not the lady!) The first character is ’summer’, the second, ‘child’. I often get a pleasant surprise when I hear about Japanese peoples’ names. Some which are so common seem so poetic. 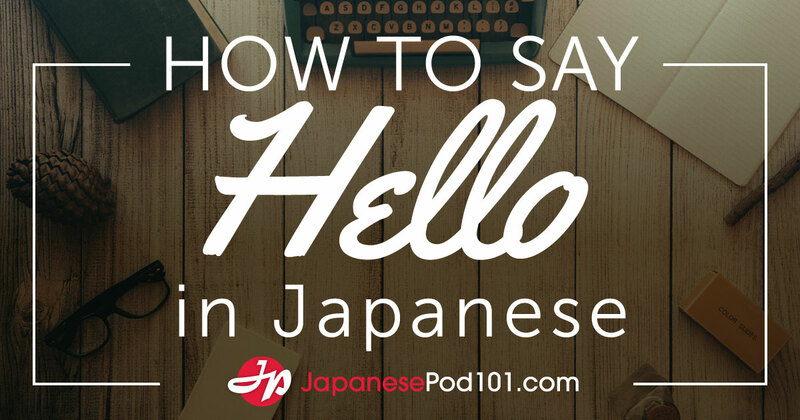 Some of us don’t get the opportunity to use what we learn in Japanesepod101.com lessons; Japanese speakers just aren’t everywhere. But there is one avenue that we can take advantage of, one which is often overlooked. Our teachers mention it in almost every podcast. It’s the message board. In case you haven’t noticed, there is a separate message board for every individual lesson at the Japanesepod101.com website. It is where users can post anything. Recently, I have made a conscious decision to post something every day. It wasn’t easy at first, but it’s getting easier and easier. One of my first problems was not a language problem, but what to post. But once you get your creative side working, it gets easier gradually. Also, after each lesson, someone usually thoughtfully puts forth a question for everyone to mull over. This is usually a starting point for a post. Or sometimes someone else posts something which I feel that I can answer to. I will be posting something in Japanese after every lesson and invite other students of all levels to do the same. Posts need not be very interesting, witty, inciteful, or even gramatically correct, but the most important thing is to write something every day. Boku ha, tamani eBay de kaimono wo shimasu. sagashinikui mono wo ebay de kaukoto ga dekimasu. kurejitto kaado hitsuyou desu kedo ne. I sometimes buy things using eBay. You can buy things that are hard to find at eBay. You need a credit card though. Kodomo no toki ni, Yakuruto wa dai-suki deshita. When I was a child, I liked Yakult very much. watashi ha Bulldogs no dai-fan desu. I’m a huge fan of the Bulldogs. Subsitute ‘Bulldogs’ for another sporting team to show your support for your local side. This prompted others to show their support for their teams, and introduced us non-Americans to Red Socks, White Socks (something to do with teams’ uniforms I think), and a celebrity listener. Jibun no namae ni ’san’ wa tsukenainode, ki wo tsukete kudasai ne. Don’t attach ’san’ to your own name, so please be careful. Finally, I’d like to draw everyone’s attention to Bloglines.com . It’s an RF reader, which means that it automatically compiles posts/articles from any site you specify, so that you don’t have to visit them yourself. It means that to read every new post on all 500 or so JapanesePod101.com lessons instead of having to click on every message board, scroll down and check by hand, you can have them all automatically compiled for you. With the help of Bloglines.com, I am able to read every post on JapanesePod101.com, almost as soon as it is written. That’s going to do it for today! Poking around youtube, as I am often of wont to do, I came across ピタゴラスイッチ1, a kids TV show. The main demographic of ピ・ス seems to be Japanese first graders, which suits me fine, as my Japanese is at about that level. I found a series called 「なにしてるの？」2 Each short clip is only a minute or so, and I have learnt something from every single one. In each one, three boys are seen in a playground. One notices an adult doing really weird exercises, and is heard to remark 「何してる」3. Eventually one succumbs to the others’ badgering of 「聞いて来いよ」4, wanders over and asks 「おじさん、何やってるの？」5 He explains the weird procedure he is going through, and a clip explains it a bit better. I discovered the verb which 愛香6 explained to me as the verb ‘to spray’, a new way of eating noodles, and a game involving snatching cards. These clips not only help me learn vocab, but appeal to my Monty Python sense of humour. The vocabulary is explained in such a unique way (a guy in a tracksuit acts them out in a playground) that I’m sure I’ll never forget these words. And I haven’t even seen all the episodes yet! So if you’re interested, head to youtube and search for 「なにしてるの」 if you’re interested! 1Pitagorasuichi, or in English form, Pythagoras Switch. 2Nani shiteru no? What are you doing? 3Nani shiteru? What are you doing? Almost the same meaning as 2. 4Kiite Koi yo. Go and ask him. 5Ojisan, nani yatteru? Old man, what are you doing? As part of my ongoing immersion into all things Japanese, I have bought a Wi console, made by company Nintendo. If you didn’t know already, Nintendo is one of the biggest manufacturers of video games in the world. The Wii is their latest machine, and it has an interesting interface method: instead of pressing buttons with your fingers, you hold two controllers, or リモコン and wave them around in front of your TV. You really have to try it to understand it; the feeling of having two controllers in your hands and frantically flailing them about makes the whole experience much more enjoyable. I’m currently battling my way through a game called Rayman Raving Rabbids. In it, a group of crazy ラビッツ　try to take over the world, and challenge you, レーマン to a series of challenges to prove your worthiness. These take the form of a series of minigames, or single challanges. These may be races, dancing competitions, shootouts with hordes of rabbits out for your blood, or navigating through mazes. Admittedly the game doesn’t have a very solid plotline, but it is still enjoyable. Nevertheless, sometimes the screaming ラビッツ get on your nerves, and I have taken a break to write this blog entry. I have somehow ended up with the Japanese version, and besides brushing up on my カタカナ, I have had to learn some new words to get through the game. Each minigame is different to all the others, so before you play, instructions on how to complete the challenge come up on the screen. As I have the Japanese version, I have to say… everything… out… loud… slowly… to… understand…, or fire up Firefox and use Rikachan to work out what I’m meant to do. I tell myself that all my hours spent on my Nintendo Wii counts as Japanese study time. I have always had a fascination with ニンテンド, from when I was young enough to wrap my little fingers around a Nintendo Entertainment System control pad. You might even say that ニンテンド, and their rivals Sega first seeded my interest in all things Japanese. That and the fact that Japan was the only place I knew where grown ups read comic books. I wouldn’t go so far to say that I’ve come so far with Japanese exclusively because of video games, but I guess they have been a factor in my childhood interest in Japan. Like so many young kids, I played a lot of video games, and was amazed to find out that almost all of my favourite games came from a small island country off the coast of mainland Asia. Although my interest in video games has waned, my interest in Japan has only grown stronger. So many unique things have come from Japan: not just Nintendo and Sega, but 侍, 盆栽, the Walkman, automatic toilets, ドラえもん, not to mention everyone’s favourite podcast. I know people often end blog posts with a question. You see, we bloggers aren’t always sure people are listening, so a question is a little bit like a to prod our readers to see if they are really there. But this time I really am interested (not that I wasn’t interested before, but you know what I mean! ): what made you want to learn Japanese? It’s a question that a lot of Japanese people ask me, and I’ve never been able to give an answer to my satisfaction. I meant to attempt an answer in this post, but I can’t get it across. I hope that my fellow jPod listeners, of all people in the world, will know what I mean when I talk about my interest in Japan. Maybe you find it hard to answer too. If you feel like it, leave a message! Besides listening to jPod and blogging, my other online pastime is Magic: the Gathering Online. Magic is a collectible card game, and was the first. I realise that not everyone will realise what this means, so I’ll give you a quick rundown: you buy packs of trading cards, which instead of having sportsmen on them, have pictures of fantastic monsters and wizards blowing each other up. Below this picture is a small box of text. You make up your own deck of these trading cards, find a friend, and play game of Magic with him/her. If you’re still not sure what Magic is, this article on the official Magic site entitled “WHAT IS MAGIC?” might make it clearer. Magic is quite popular in Japan actually, so much so that tournament reports (yes, there are regular organised tournaments) are usually written in both English and Japanese. The four semifinalists from the most recent Grand Prix (yes, we have a Grand Prix) were named Kurihara, Osawa, Tsumura and Hron. All except one are 日本人 (I’ll let you work out for yourself which one). The world champions (yes, there is a world championship!) for the last two years have both been 日本人. In 2005, the World Champion, World Team Champion and Player of the Year were all from Japan. The only other country with such a record is the USA, which invented the game. I guess that Magic appeals to the Japanese psyche; the diligence that goes into 盆栽 and the discipline of 武士度 melds together to make some damn good Magic players. Or maybe I’m looking too deeply into it. Let’s just say that before every tournament, the commentators (yes, we even have commentators) always mention the Japanese players, and speculate on what lethal innovation might lay waste to their opponents. Recently there was an entire set of cards based on Japanese mythology: Kamigawa was another plane where Ninja, Samurai and other warriors would fight each other. There was a tribe of warrior human/foxes called Kitsune, and killer rat-samurai known as Nezumi. I mean, the race was called Kitsune, and the rats actually called themselves the Nezumi, in both the English and Japanese versions of the game. A little difficult to explain, as the Japanese word for fox is Kitsune. Some of the monsters had cool names: 夜の星、黒瘴 (Kokusho, the evening star), 深き刻の忍者 (Ninja of the Deep Hours), 激憤明神 (Myojin of Infinite Rage) and so on. Magic also has an online version: instead of holding cards in your hand and putting them on a table, they come up on your monitor, and you just point and click. This is usually what I’m doing if I’m online, and an engrossing game is often the reason I must listen to jPod lessons 3 or 4 times before understanding the dialogue. One can also chat during a game of Magic, much like instant messaging programs like ICQ or MSN messenger. If I notice someone’s online name is Japanese, I usually try to coax some converstion out of him/her. Sometimes this is difficult though; some people like to concentrate when they play. Conversation is sometimes difficult for other reasons too. Some people with Japanese aliases aren’t actually Japanese, and the program doesn’t allow for ひらがな so everything must be typed in plain looking Romaji. I chanced upon another weird problem the other day. Tanaka_the_Destroyer was my opponent, and he was making a complicated play. I wondered what he was up to. I had to ask. 「何しっていますか」　was my question, transcribed into Romaji as “Nani shite imasuka”. But my message came up as “Nani _____ imasuka”. Eureka. I had it. The Gaelic slang word for ‘faeces’ and the present progressive of the Japanese verb ‘to do’ when written in Romaji script are exactly the same. The program was censoring something it saw as a naughty word. Eventually I got the question across to Tanaka_the_Destroyerさん by using the less polite “Nani yatte imasuka”. He answered my question by hurling a 20 point fireball at me. I never even saw it coming. He had been toiling away diligently on the other side of the table, building up resources slowly but surely, before striking only once, but lethally. I wasn’t too peeved about being beaten, but the fact that I couldn’t communicate properly with my opponent did annoy me a little. I was just 5 minutes ago talking to someone on MSN about one of my vocab memorization techniques. The conversation started, as one usually does on MSN, as ‘what are you doing’. It took me a while to explain, but my friend thought it was a good idea. He’s learning English, but the principle is the same. I do it whenever I’m trying to memorize a lot of words. Maybe it’ll work for you! Step 1: Open a search engine. For Chinese, I use 百度, for Japanese, one might try google.co.jp. Step 2: Click on the ‘images’ tab (remember it probably won’t be in English though!) and write in the word. Let’s take something from today’s lesson; おめでとう meaning ‘congratulations’. Step 3: Feast your eyes on all the lovely pictures. Each one has something to do with おめでとう. I found a chubby bride in a wedding dress, a pair of geeky looking girls with medals around their necks, two offical guys in suits smiling and shaking each others’ hands, and a birthday cake with ‘congratulations’ on it. In each one of these photos, the person with the camera has probably said 「おめでとう」 right before he/she took the photo. You might even try it without the ‘images’ tab, and read through articles if you don’t find any pictures that help. Useful when the word isn’t something that is easily represented visually. I entered 「どういう風の吹き回し」 and even though I couldn’t read most of the articles, just the fact that I saw the phrase repeated in so many different places reinforced both it and its meaning in my brain. It works for me! It seems a little bit longwinded, but I usually go to extreme lengths to avoid memorizing something by rote. I find the ‘Google-search’ method very helpful in reinforcing vocabulary. Instead of getting a dry boring example sentence out of a dictionary, you’re getting a real use of the word. Recently, 爱香1 enrolled at a 上海大学校2　learning 中国語3. On Friday night, the whole department threw a party to welcome in the new school semester, and all their new students. But to tell you the truth, I guess 大学生 will take any excuse to party! As we went in, we were asked to write our names on a sticker, and stick it on ourselves. Probably so people who forgot our names wouldn’t go all night calling us ‘dude’. We were also asked to reach into a plastic bag and pull out a number. This was written on another sticker and stuck under our name. This didn’t serve any purpose that I could see. I did see a guy whose number was ‘69′ enthusiastically showing off his luck to his friends though. 爱香 introduced me to her classmates. I guess everyone was a little shy about using Chinese though, so all the Koreans were together speaking Korean, the English speakers were all together, the Japanese were huddled together. The Koreans were outnumbered everyone else, so 爱香 stayed with them, chatting away. She speaks Korean from living in Seoul for three years, and I listened on, anxiously checking japanesepod101.com on my PDA to see if the Korean survival phrases had been uploaded yet, so that I could chime in on the conversation. No luck though. After a few ビール were passed around, everyone relaxed a little. Isn’t that always the way! Everyone felt a little more comfortable speaking Chinese to each other, and I stopped stumbling through 日本語. I met a guy called 金4 and some of his friends, and had a chat with them. I found the Korean group especially friendly with each other; 金 seemed like a big brother to everyone and it seemed like everyone had known everyone else for a long time. 爱香 often says how なつかしい she is for her days in Korea, and how friendly the Koreans are. She has said before how everyone in Korea is like a big family and after　meeting 金 and his friends (come to think of it, I think they were all called 金) on Friday night I understand. The Korean group was a happy medium between the strict structure of the Japanese and the brash friendliness of the Chinese. I understand that also linguistically Korean is a blend of Chinese and Japanese. As I mentioned, alcohol broke down barriers. Everyone stopped speaking in their native language, and defaulted to 中国語. I was happy for it too. On a most basic level, language opens doors. And I don’t mean metaphysical doors or business opportunities, or opportunities for self-expression. I mean if there’s a Korean dude, and an Australian dude, and one wants to ask the other, he’s up **** creek without a paddle unless he can actually open his mouth and say something that the other dude will understand. It was a great night for a language fan like me. I spoke Japanese to Japanese, Chinese to Japanese, Chinese to Koreans and Chinese to Australians. Wow, that’s quite a confusing sentence. I guess I could make it a bit clearer with the help of Kanji: I spoke 日本語 to 日本人, 中国語 to 日本人…etc ‘I spoke Japanese to Japanese’ doesn’t really work in English. It was also great to be in amongst a group of language students. It’s often hard to talk in a foreign language to someone right off the bat, and it was great to just open your mouth and let fly with Chinese, without having to think ‘well you’re obviously not Chinese so I feel a little silly speaking to you in Chinese’. ４ “jīn” in Chinese, and I think it would be “Kim” in Korean. Maybe Keith先生 can confirm. I’m not sure what this 漢字 would be in Japanese, but if I’m right that it’s “Kim” in Korean, maybe we could say that it would be 『キム』. But when it’s the word for ‘Friday’ it’s 『キン』. A little help? I was in a local coffee shop when having breakfast when I heard something that always gets my attention. This broken conversation was coming from the table next to me, and another table beyond that. I had of course noticed some 日本語 being spoken earlier, but had gone back to reading my newspaper. I couldn’t think of any excuse to introduce myself and do some 話し練習1, but still was listening in. Someone had heard someone else at the table next to them speaking Japanese, and had introduced themselves. One group of four was visiting 上海, the other table of two lived here, and were imparting their knowledge. Here was the problem. Maybe some other jPod listeners can relate. I felt like jumping in and introducing myself and Japanesepod101.com, but thought it was a little rude. After all, what could I say? “Look mate,　you’re obviously learning Japanese, so I thought I’d saunter over and have a chat. Suffice it to say, you need to visit japanesepod101.com” I’m usually shameless in approaching 日本人 and just striking up a conversation (after all, how else can you learn a language?) but coming up to someone on the pretence that their Japanese needs improving made me feel a little 緊張2. The 外国人 turned out to be オーストラリア人, which was a nice coincidence. He asked what I did at jPod, and I had to explain that I just wrote a little bit about it every now and then. He asked if I had a card, I didn’t. I’m not really an employee, but still, it would have been nice to give him something. How would you have handled the situation? 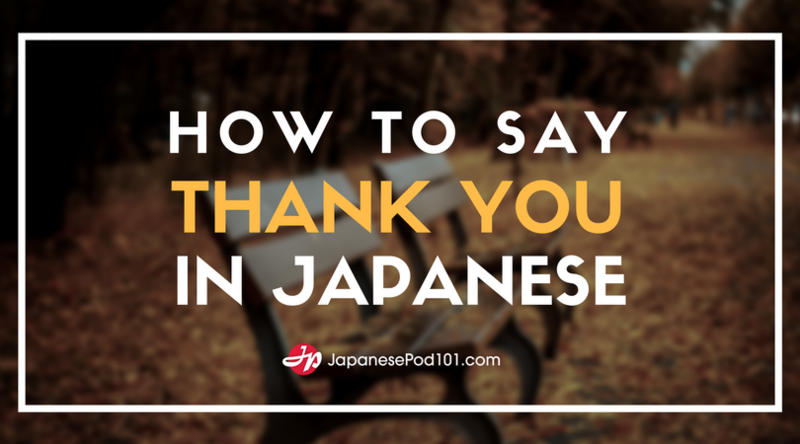 It might be a little rude to approach someone and say how you noticed them struggling with their Japanese, and that you have a great site to recommend to them. Some people might feel that their language skills are better than they are, and might feel that they don’t need any improving. This was the last message of the SMS ‘conversation’. I guess for this reason, she felt like it was missing a little something. “How do I write 「よろしくおねがいします」 in English?” she asked. ‘Whoa,’ I thought. How do I explain that the small island nation that she comes from is unique in the world with its layers of formality, unbroken dynasty, and turbulent history? How could I tell her how unique those 11 short syllables were in the linguistic pantheon of the world? How could I get that across in 5 seconds or less? I told her that we didn’t a word for it. “Yes, there is something in English that has the same meaning, I just can’t remember it,” she said. Anyway, she sent the SMS without the English word for 「よろしくおねがいします」. I can’t help thinking about it though. It felt so strange though, Ｉ spend so much time finding the meaning of words, my brain seemed to freeze at the translation for 「よろしくおねがいします」. I know this word, but all my mental dictionary kept throwing up was the blue screen of death. It’s peculiar to know that a word, a certain feeling has no corresponding word in the entire English language. Maybe we can make up a new English word, that means 「よろしく」. The closest word I could think of to 「よろしくおねがいします」 is the slangy ‘cheers’. Where I come from, ‘cheers’ is not only a word you say when you drink a toast, but also a word that you say for ‘thankyou’, even when someone hasn’t given you something. Not quite the same as 「よろしくおねがいします」 but the closest word I can think of. Maybe we can just import 「よろしく」 into English as is. My last post talked about Japanese words in common usage in English, maybe we could add 「よろしく」 to the list. We could shorten it a bit (actually a very Japanese thing to do). Anyway, I hope you enjoyed this post. Since 中国1 is so close to 日本2 there are some 日本語3 words that almost everyone here knows. わたしは： Everyone knows how to introduce themselves. I guess it’s the first (and sometimes, the only) thing that everyone learns how to say in Japanese. かわいい: Japanese people, particularly young girls, have a habit of yelling out this word at the top of their voices, while pointing at a small dog, foreign child, or tiny cellphone, where appropriate. Usually from the squeals of delight and giggling, the meaning can be ascertained. Also, it sounds very similar to the Chinese 可爱4, meaning ‘cute’ or ‘lovely’. 何5： アニメ is shown daily here, with Chinese subtitles. A friend of mine told me that he often watches them, and somehow remembered this word. He told me what he thought it meant (’what’). I told him that he was right. What a good student! I wish I could learn without trying. Anyway, he was pretty pleased that he picked up that one word, and I told him about jPod. He promises to be the first subscriber to the 中国語 version! はい： Everyone knows this word. Along with these random words, most people know the basics. Hi/Bye/Sorry (今日は6、さようなら、すみません) and maybe some loan words (料理7, 写真8). Japanese readers might also be interested to find out how many Japanese words are regularly used in English. I was watching CSI the other day, and one of the characters was discussing a missing person. He said something along the lines of ‘maybe he just collected all his things, severed his ties to the community and said sayonara. Just up and left town’. This wasn’t a reference to a Japanese person or Japanese culture at all, but just a word in the English language. Other Japanese words that have entered English: Tsunami, Sumo (but not 陸士9) , Bushido, Karate, Manga, Sushi, Anime (Although anime is short for ‘animation’ so I’m not sure what language it comes from) and others. Are there any other Japanese words in common usage in English that you can think of? I’m thinking of words that could be used without explanation to someone who doesn’t speak Japanese. ４kě ài. For all you Chinese learners! 7りょう・り, liào lǐ in Chinese, from the Japanese word. 9りくし. Click here for a great lesson on Sumo!